The unattractive nature of bugs and insects often make these creatures the most despised pests in Southern California. However, it’s worth noting that your pest problems might not stop at creepy crawlies. Various outdoor animal pests like squirrels, gophers, moles, and others can cause serious damage to your lawn and home. Though furry pests might not be as unappealing as their insect friends, they still carry their own distinct dangers, from the potential to spread disease to teeth and claws that can destroy your valuable investments. Here, we’ll take a look at some of the most common animal pests and how you can keep them out of your property. The local wildlife in Southern California is incredibly diverse. While that might be wonderful for nature lovers, it can be incredibly problematic for homeowners who want to keep dangerous creatures away from their houses. Unlucky residents could quickly find themselves dealing with skunks, bats, foxes, coyotes, and other feral animals. Not only are these beasts incredibly destructive, known for digging through garbage and scratching up lawns, but they can also pose a serious danger to your family with the threat of attacks and disease. Since it can be harder to remove local wildlife than termites or ants, the best solution is to turn to a professional for help. Remember, you should never try to deal with wildlife removal yourself, as some of these creatures can be aggressive and even carry rabies. Few outdoor critters can cause quite as much damage as moles and gophers. These underground animals are stealthy and destructive, burrowing deep underground and leaving your yard rife with tunnels. Both gophers and moles can easily destroy your landscape, and create a problematic, uneven yard that’s difficult to manage. If you have a persistent issue with moles and gophers, the best solution can be trapping. With the help of a professional pest removal company, traps can be set to capture gophers and moles, and remove them from your property. Additionally, there are some preventative measures that homeowners might consider, such as natural repellants you can find in the store. Raccoons are naturally intelligent and highly curious creatures. Unfortunately, that means that they can present a serious nuisance to the average homeowner. 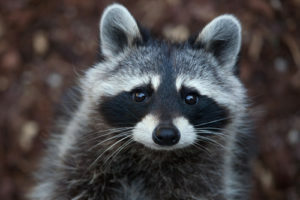 Not only do these critters destroy gardens and overturn garbage cans in search of food, but they can also carry dangerous diseases like rabies, salmonella, and giardiasis. Removing raccoons from a home requires a careful trapping procedure. Often, you’ll need to begin by sealing the entry points into the home, and repairing any holes which might allow raccoons access to your property. After that, traps can be set around the home by professional pest removal experts. Remember to keep your home free from any trash or leftover food that might attract these furry pests. While rats and mice are frequently considered the most unappealing rodents, squirrels can easily cause just as much damage as their less-popular brethren. Once a squirrel has made its way into your attic, it can be very hard to remove, as it often creates a nest for itself and becomes highly protective of that space. Like mice and rats, squirrels gnaw on everything, from woodwork to cables, and can even cause blackouts in your property. The best way to remove these pests is to get rid of any food sources that might attract them, cut down branches that offer squirrels an aerial walkway to your home, and set live traps. As always, ensure your traps are set by trained pest professionals. Never leave food out around your home or garden that might attract pests. Seal up trash cans as tightly as possible. Remove any bird feeders and other sources that might attract squirrels, gophers, and raccoons. Trim any branches or greenery that might give climbing pests access to your roof or attic. It’s important to make sure that you’re not only aware of the pest animals in your area, but also what you’ll need to do to fight back against infestation if it happens. The potential that most of these creatures have for spreading disease means that you should never attempt to deal with them by on your own. Protect yourself and your family by reaching out to the experts at Adios Pest Control for professional pest removal.